Interested in volunteering? 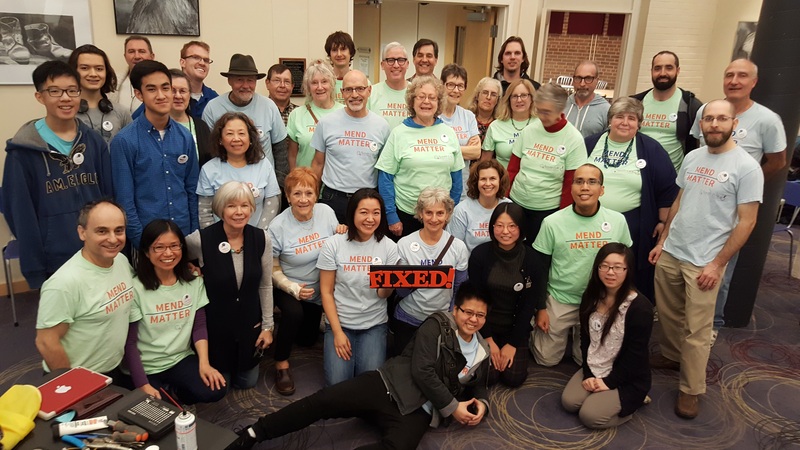 Volunteers and skilled fixers are needed and welcome! Please see our Volunteer page. 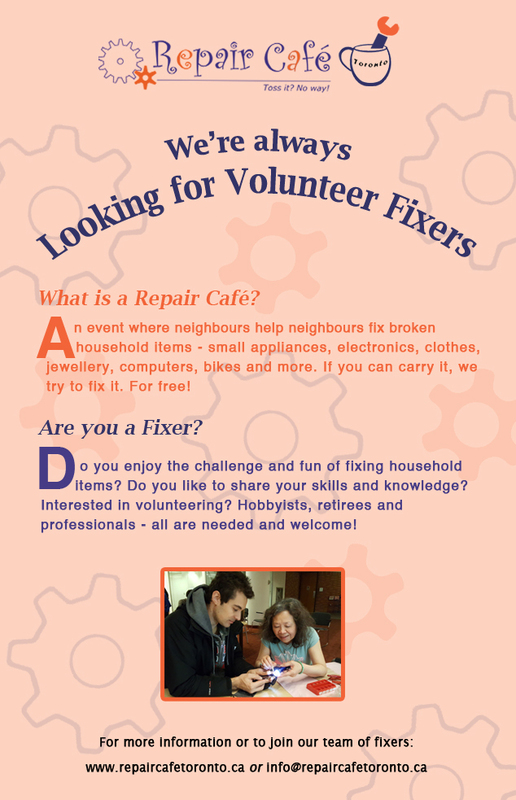 If have any questions, we can be reached by email at info@repaircafetoronto.ca.